“Should we choose an eCommerce system to fit our ERP system, or an ERP system to fit our eCommerce system?” So went the online post for help. Like so many posts before it, the real answer will only reveal itself once the homework is done. I know what I would do, but the choice is not up to me. A number of years ago someone figured out that a company might be able to generate revenue by utilizing the Internet. For a long time, way before the Internet was available to the public, companies understood that automation and integration were key components in lowering costs. Over time creative people came up with ways to integrate technology to improve efficiencies, enough so that some business operations are now molded around available technologies. An almost universal question that must be answered by organizations evaluating software solutions is how much will I change my operating procedures to match the software capabilities or how much will we modify the software to match our operations. The answers run from one extreme to the other. What we look for is a closer match of software to business than the reverse. It means that the software is the right choice. The Solution provider understands your business and has made the customizations for you. That is why you pay them or should is I say what you pay them for. It is not that a company cannot completely modify a solution to match their operations, however, that is essentially custom software and most organizations want to move away from that type of solution. Granted it meets all of your business needs, but the problem is that it tends to isolate you from industry change. This isolation either leads to falling behind or means that you have to invest in extra staff to keep current. No business operates alone and should not look for a solution that furthers the divide. There are exceptions. Of course, it is possible that your organization is completely unique, operates like no other and therefore you need a completely custom solution. If their products are in demand and no one else produces them, they have a monopoly and since there is demand, then it may make sense. However, the vast majority of those so egotistical have not taken the time to see how the technology industry has transformed the way it interacts with their demand. It is more likely that that there were no solutions years ago and that company had to develop their own. They were industry leaders at the time. Regardless, how will they keep up with change? This applies to the Ecommerce versus ERP question that we started out with. I am sure that a lot of work went into the web site. They may have finally got all the pieces to work. Well, except for the integration with the back end. The ecommerce solution may be working so well that what once worked at one business level, just simply cannot keep up with the new higher demand. This company came up with a custom solution to meet a current and growing need. It worked really well. Business grew. Grew so well, that they grew right out of their custom solution. Now they have to decide to scale back the business, invest in more manpower to increase the integration and accommodate the growth or invest in a new solution, throw some or all of the existing solution out and then move forward. How many steps backwards does this organization now have to take, because they isolated their technology solution? It is like climbing a ladder up a building only to realize they are climbing the wrong building. Depending on a lot of information that we do not have, it is possible that they may just need a bigger ladder. Of course you have figure out what that new ladder will rest on. Will they have to climb all the way down and then start climbing once again and hope the ladder is big enough this time? There is no substitution for full integration. That does not mean to say that everyone can afford all the bells and whistles on an initial purchase, however, does the solution provider you are considering have a solution for what you will likely need in the future? Do they have a growth plan available? What are your choices when the growth of your operations necessitates more horsepower in your systems and transactional processing? Will you have to throw everything out or can you add more resources? Changing an Enterprise Resource Planning (ERP) solution is a lot like open heart surgery without any anesthesia. It is painful. No doubt, but afterwards you are grateful for the change. Low Total Cost of Ownership (TCO) contributes to a higher Return on Investment (ROI) and inevitably the right solution pays for itself. My answer to the question is the same answer to any new solution. Invest in an ERP solution that is designed for growth and can add features and modules directly or from vetted third-party solutions when your business needs them. 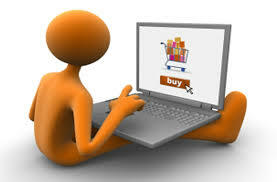 Do not throw away the development in the Ecommerce solution. No need to throw the baby out with the bath water. Concentrate on integrating the front end of the current web site with the existing backend web constructs that exist and are fully integrated with a new ERP solution. Over time, when it makes sense, consider the ramifications of moving completely over to the ERP offering. ERP solutions work best when you let them do what they are designed to do. Integrate the Enterprise. The more integrated, the higher the operational efficiencies, cost reductions and increase profit potential. ERP solutions are not a substitute, or fix, for bad management, however, good management has the potential to be great with the right solution. Dolvin Consulting works with midsized manufacturers, distributors and specialty retailers to help them streamline their computer operations, reduce costs, and increase profits. Those organizations typically struggle with warehouse and inventory control issues, have outgrown manual processing or are frustrated with the constant flux in technology and have lost the ability to keep current. Please contact us today to see how we can help you identify and address the challenges that hold you back.